Fabric Mart Fabricistas: Made by a Fabricista: A Trio of Blue Shirts! Hi everybody, blue is one of my favorite colours and I love all shades of blue - from pale sky blue to midnight blue and everything in between. 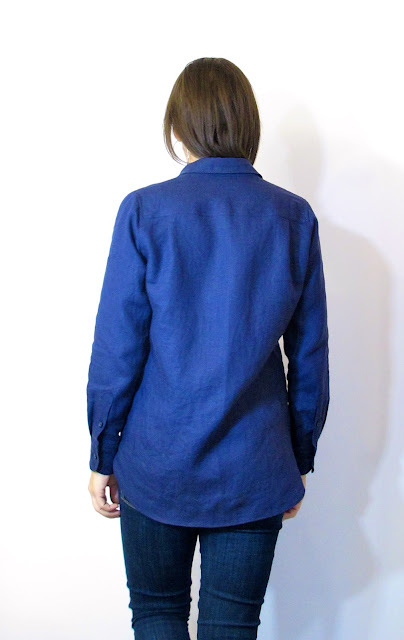 For this month's post I was inspired by some blue fabrics on FM's website, and I made 3 shirts out of them! 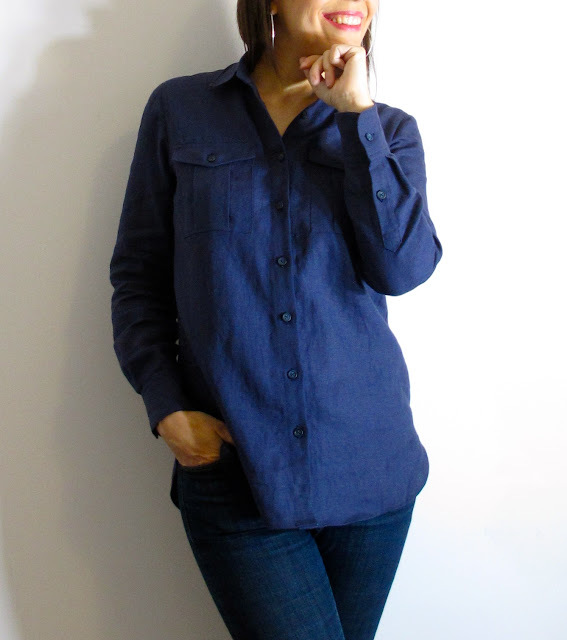 I've been wanting to try the Classic Shirt by Liesl + co since its release, so I grabbed some designer quality blue linen and gave it a try. I made view B, in size 2 A/B cup. The sizing was spot on and I only made minor alterations: took off 1 cm at the shoulder seam (the shoulders were a tad wide for me), shortened the sleeves by 1'', and took off 1 cm at the hem. I love the relaxed fit of this shirt, and the details which make it a bit masculine: the pronounced shirt tail hem, little or no shaping at the waist, the tower plackets, the rounded cuffs. I was tempted to add some shaping at the waist but finally I didn't; that shirt is roomy and that's the cut. View B has those great pockets! The pattern pieces and instructions produce great looking tower plackets! We tend to wear linen only during summer, but did you know that linen fiber has excellent thermal qualities and it helps to keep you warm during winter? 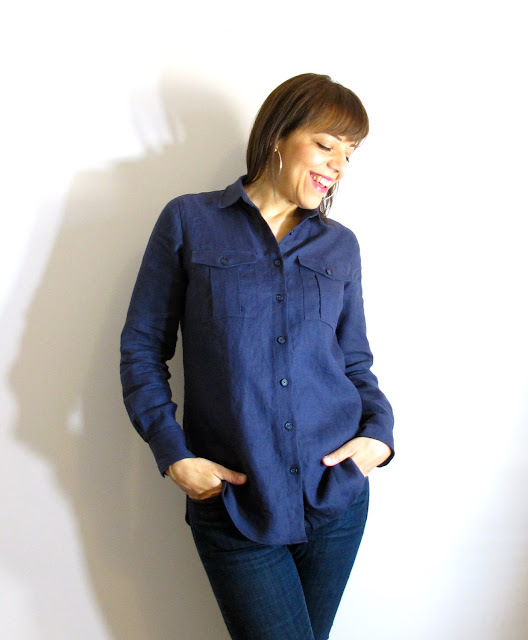 Well yes, and that's why I chose this designer midnight navy linen 'cause I intend to wear this shirt for the cold season! Fabric Mart always have an excellent selection of linen. The designer quality has some body and a weighty drape, just perfect if like me you want to wear some winter linen garments! For shirt #2 I went back to Burda 6849 (view A), but this time I used the front yokes - which I had never used before - and was inspired to play with the stripes to give the shirt a 70's look (or is it a western style?). Each piece is cut single layer to make sure they mirror each other perfectly, which made the cutting process awfully long! I oriented the front yokes so that the main stripes match those of the front piece. To add visual interest, I oriented the stripes of the pocket flaps so that they point outwards (a detail I've seen on a western shirt on the net). That beautiful print is still available as we speak - here! 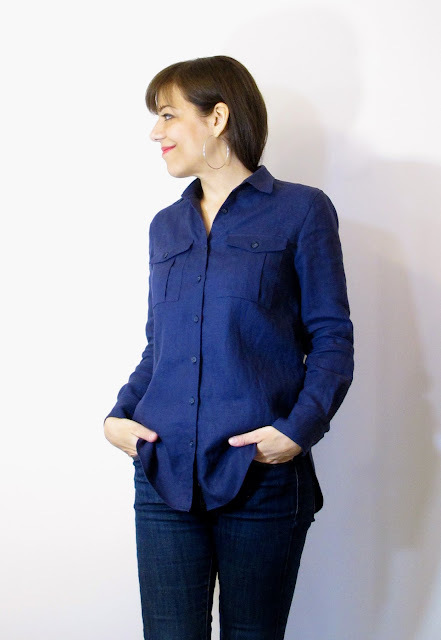 Burda 6849 is a great fitted shirt and it looks good tucked or untucked. I found that it takes much longer to make than the Classic Shirt because of all the seams, darts, yokes and front button band, and especially if you have to match stripes or a pattern. 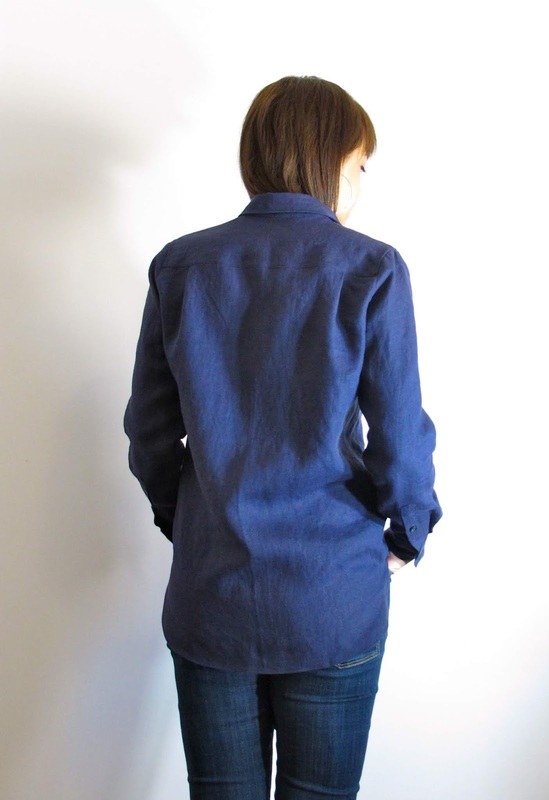 At first I had used the same blue buttons as in the linen shirt but it didn't look good, they kind of disappeared on the denim blue background. Finally I went for some cream buttons (10 mm), recycled from an old shirt from my husband. For shirt #3 I wanted to try the Classic Shirt by Liesl + co again, this time in a plain, no frill version without the pockets, and in a lighter fabric. The fabric I used is another hawaiian designer cotton lawn print (that sold out quickly), but there are still plenty of prints to choose from on the hawaiian designer page! 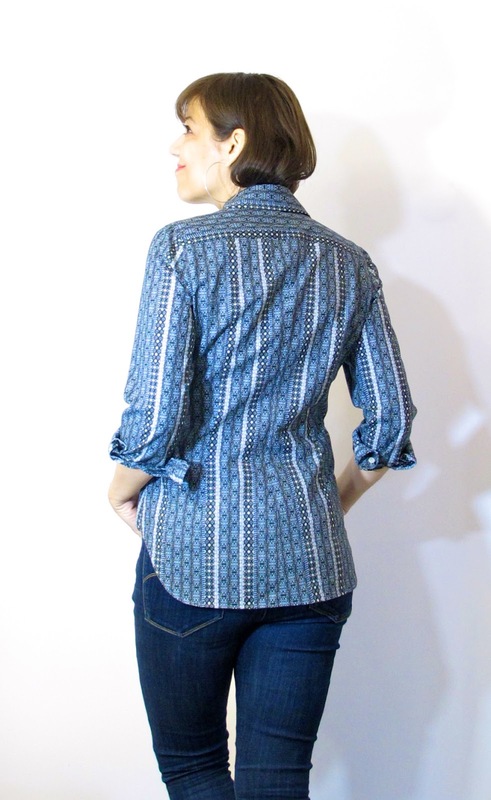 This cotton lawn sewed and pressed like a dream - it just wanted to be a shirt! Treat yourself and try it if you still haven't! 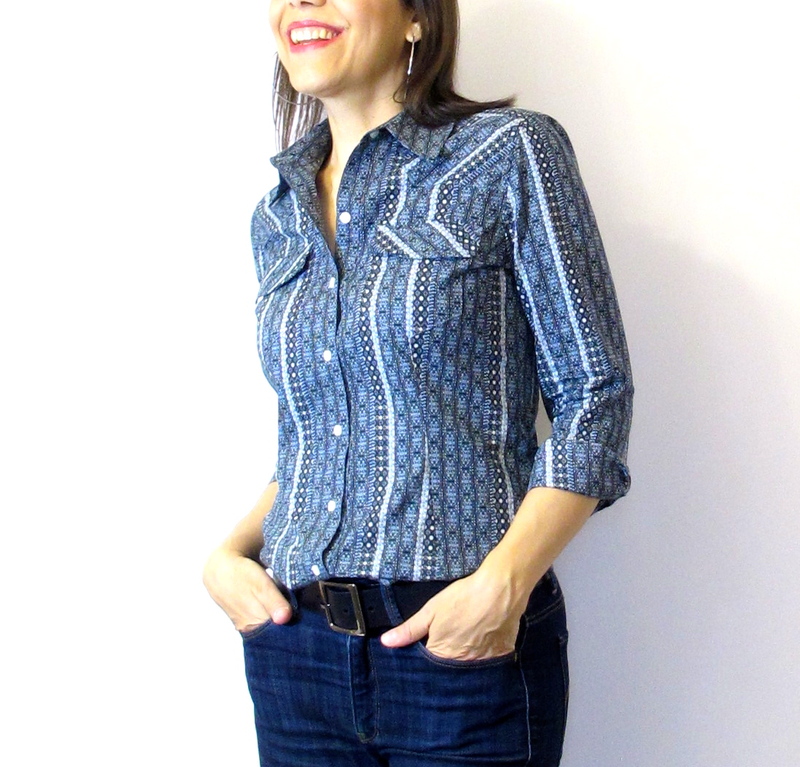 At the moment I will probably wear this shirt untucked, under a sweater for added warmth, but I can very well see it styled with white jeans next summer! So that's it for my trio of blue shirts. It was a bit a lot of work and I didn't feel so organized - I've just moved recently and some of my sewing stuff is still in boxes, but I made it! 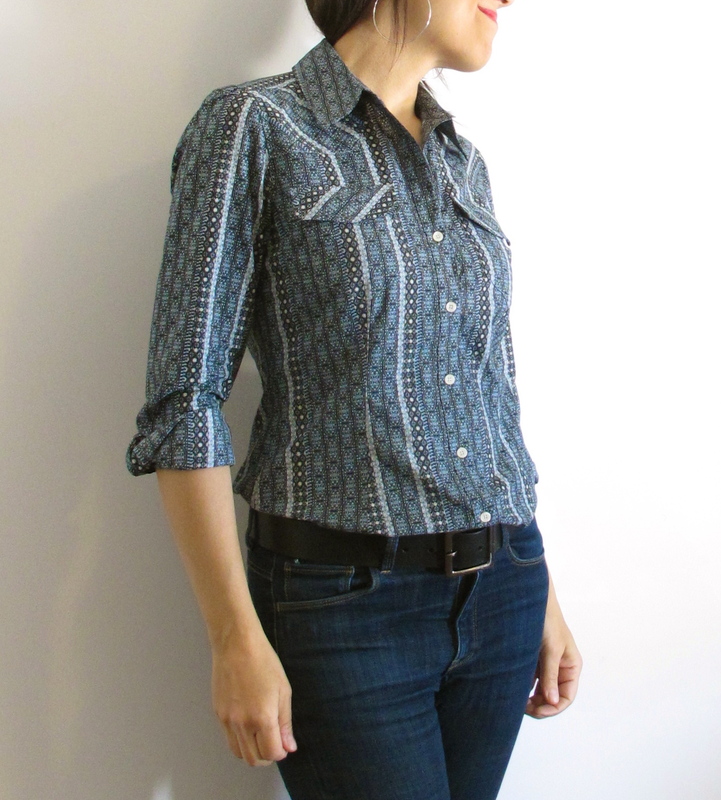 I'm so glad I finally sewed the Classic Shirt, I love that pattern and highly recommend it, as well as Burda 6849 which is so excellent. Thanks to Fabric Mart for the beautiful blue fabrics, they really inspired me! See you next month, 2nd Wednesday of December! Happy sewing everyone! Lovely shirts. I will have to try the patterns you used. I have not had success with button down shirts. They are all 3 lovely on you, well made and well fitted. If I were to vote for just one, though, I’d vote for the liesl co blue linen. The fit, the drape, the color, the style - all just great. Thank you Nikki! 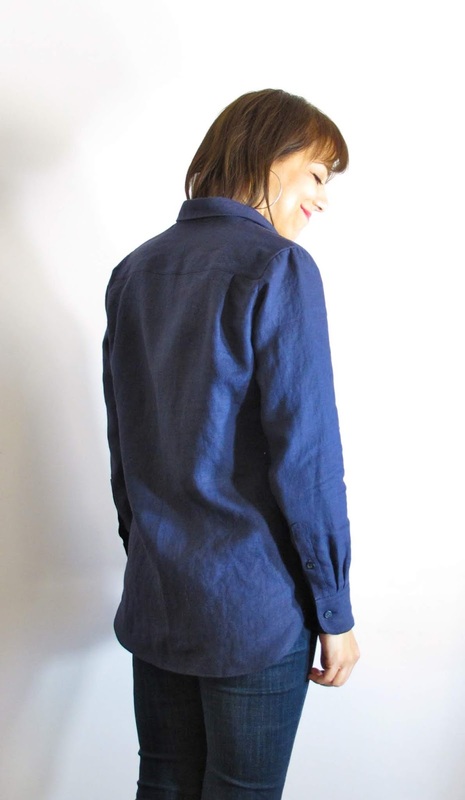 Yes, the Liesl + co came out really well in that dark navy linen, I love it. Thanks for your review. 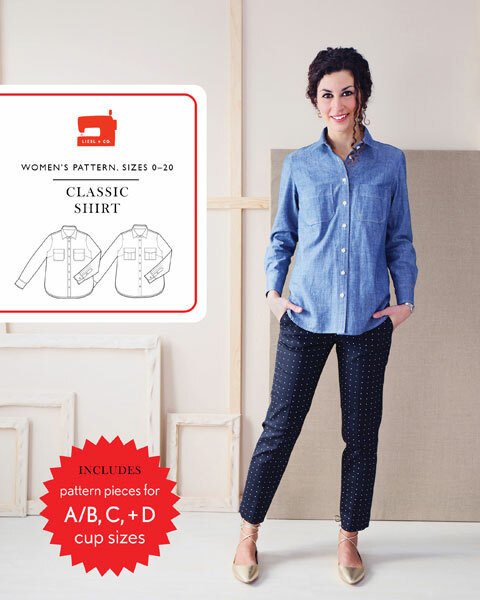 I have been going through my Burda magazines looking for a shirt pattern to make up some stripe and plaid fabrics in my stash. Your striped Burda shirt works really well, and is close enough to Burda shirt 10/2012 #115 for me to know it will work too. Yes, both are similar styles. That Burda 10/2012 #115 is lovely also and I might have to check that one too! You're sew talented (pun intended). Tell me - are you long waisted too? I ask because I am (I'm always adding a couple of inches in the bodice of my dresses, etc.). If so, what kind of adjustment did you make, V? Thank you Mary Beth! 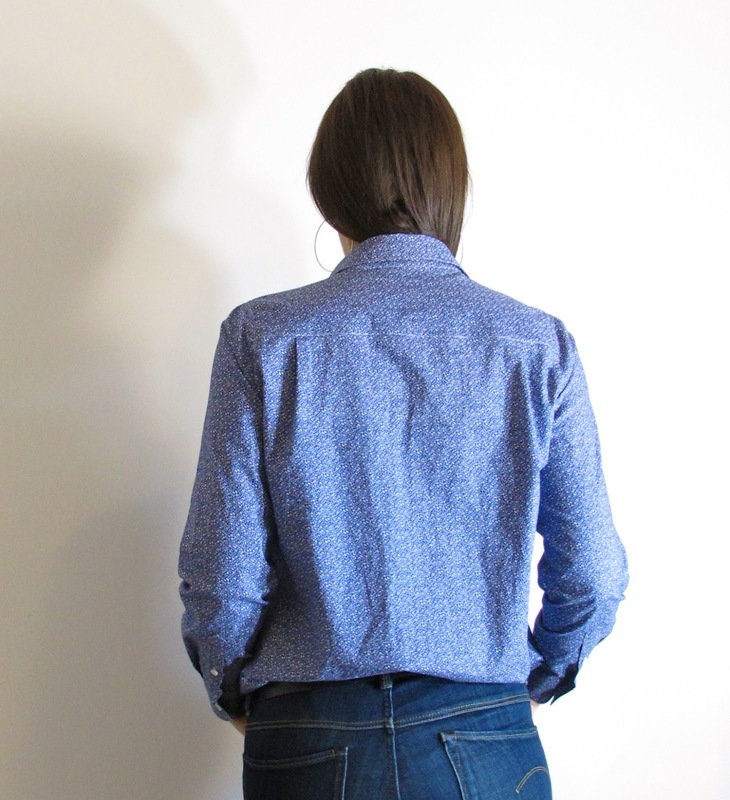 My major adjustment in shirts is usually square shoulder adjustment (I have square shoulders, but not wide shoulders) and gaping armhole, but none of those were performed on the Liesl + co Classic shirt (I shortened the sleeves and removed 1 cm at the shoulder line). I had to shorten the Burda shirt in the upper bodice, waist an at the hem - if you're long waisted you might like this pattern, it's drafted quite long!